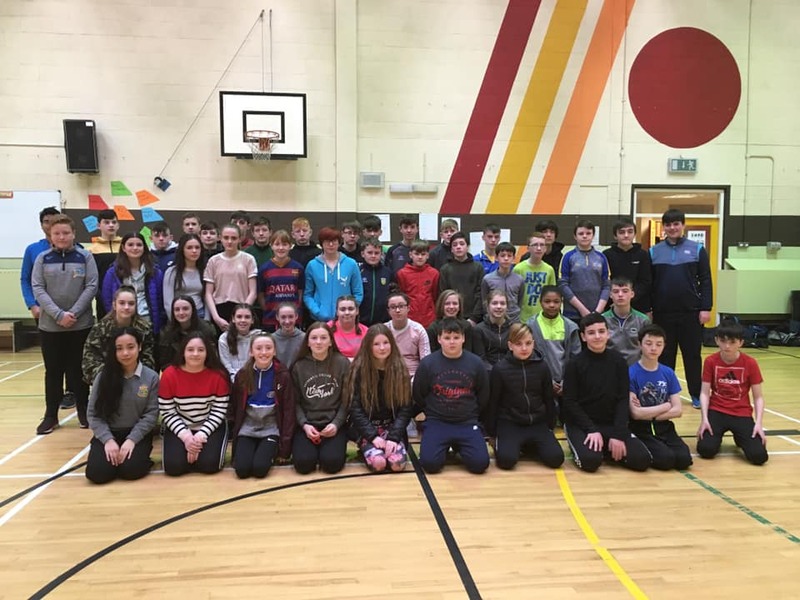 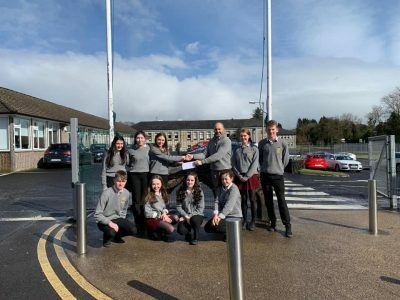 All 1st year students took part in a pentathlon recently and raised €2,666 for the school activities fund. A great morning of fun was had by all. 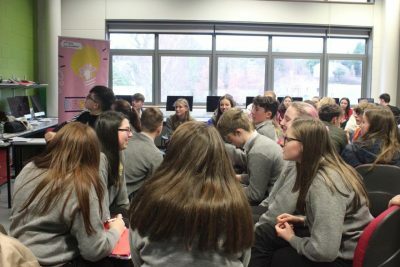 The winning teams, the class who raised the most money and the top fundraiser in each class enjoyed a trip to the cinema the following day. 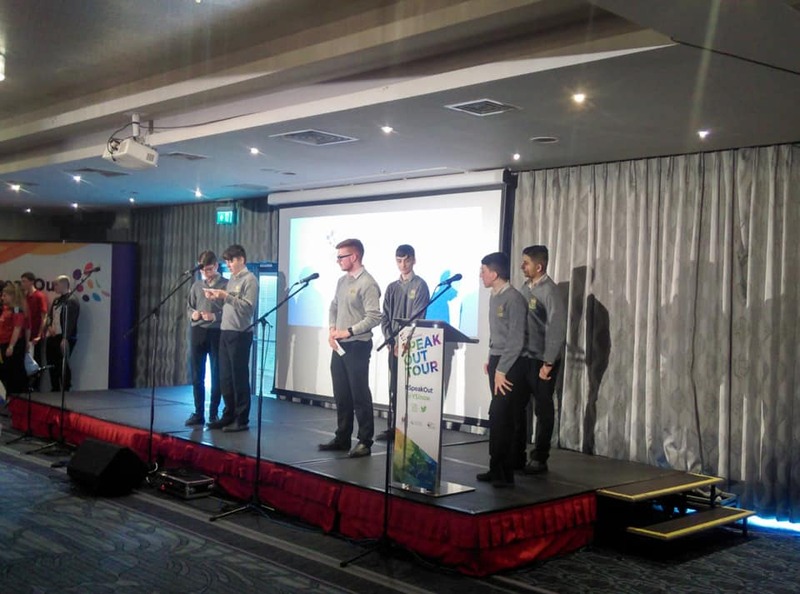 Well done to all the students who took part and congratulations to the winning teams. 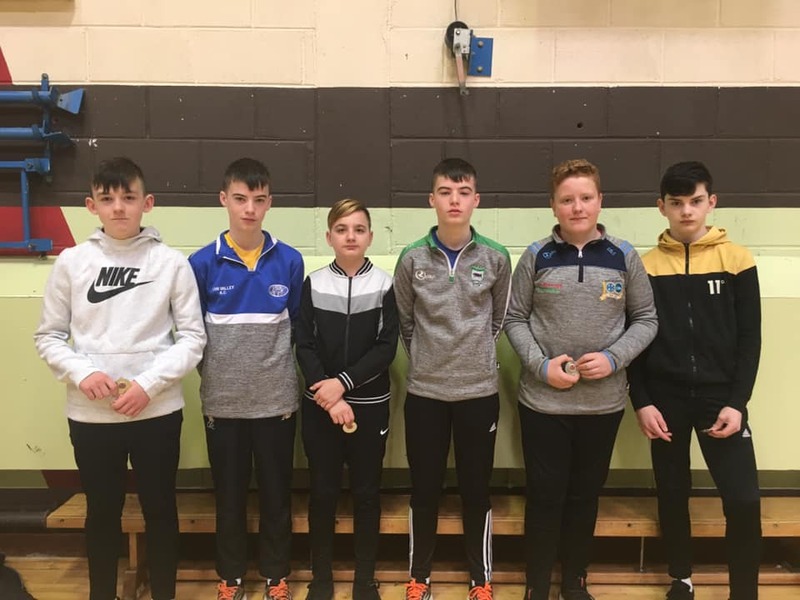 Thanks to the transition year sports leadership students who assisted on the day and to the PE teachers Mr. O’Reilly and Ms. Mc Nabb who organised the event. 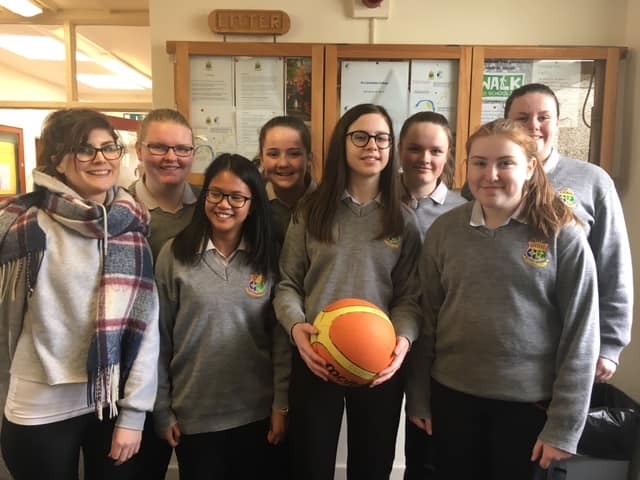 Our 2nd year girls basketball team attended a blitz in Finn Valley College. Finn Valley, PCC Falcarragh, Gweedore and St. Columba’s took part in the blitz. 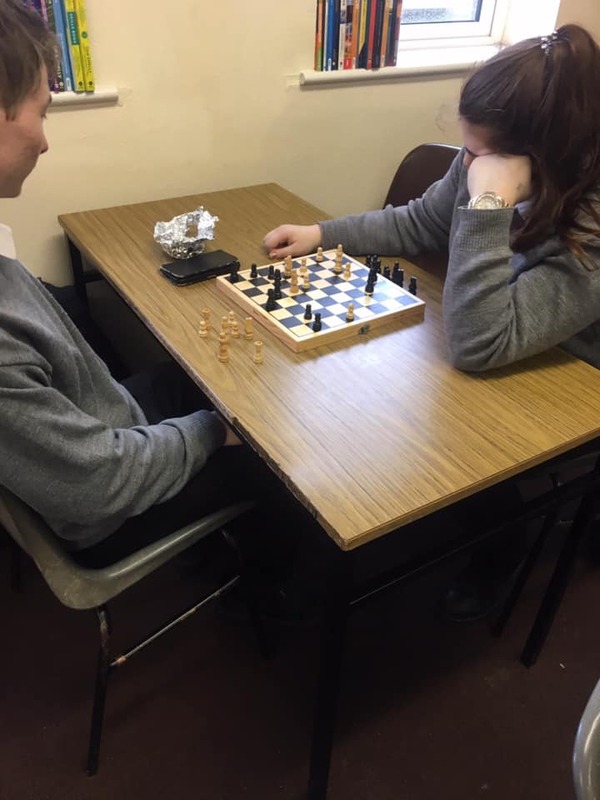 Our team won 2 out of 3 matches defeating Finn Valley College 14:8 and PCC Falcarragh 10:6 but were unfortunately defeated by Gweedore. 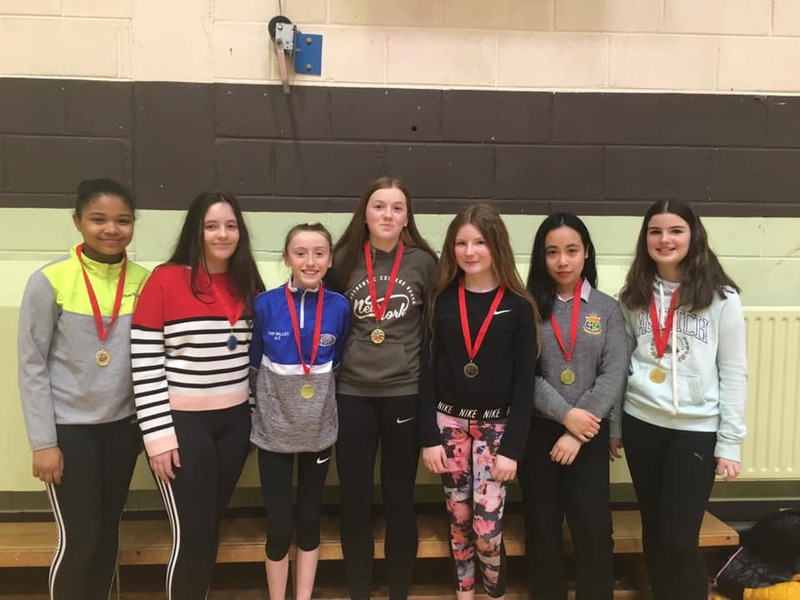 Well done to the girls Chantelle Peoples, Emma Conaghan, Emma Mc Caul, Grace Foy, Sinead Deasley Ciara Gallagher and Roseanne Jose and to their coach Ms. Culkin. Our U-14 Gaelic team won the blitz in Carndonagh recently and are now through to the Ulster semi final. Well done to the boys and their coach Mr. O’Reilly. 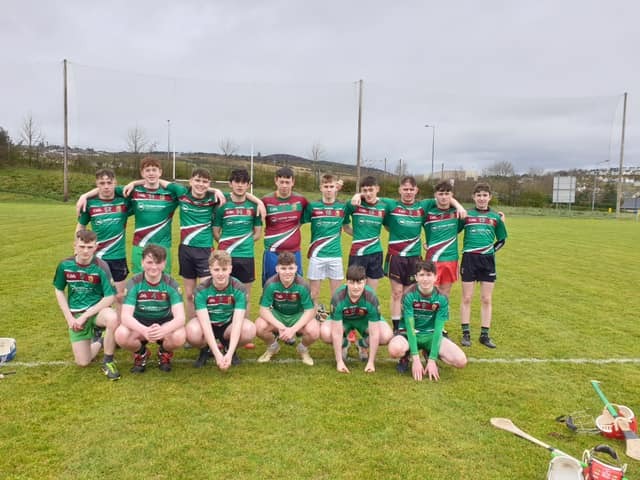 Our U-16.5 hurling team who defeated the letterkenny colleges today 4-15 to 1 – 5. 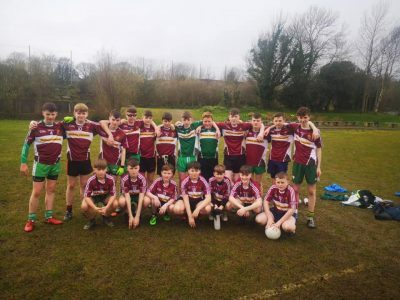 Well done to all the boys involved and to their coach Mr. Cannon. 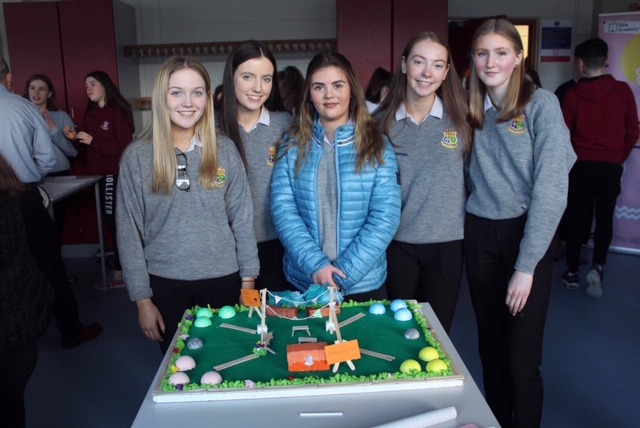 The transition year Student Enterprise Night took place in the college in early March. 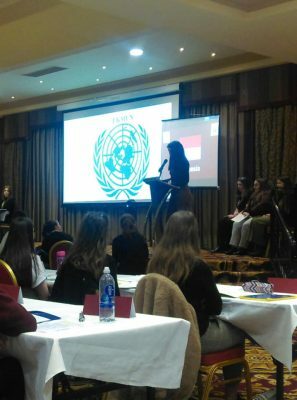 There were ten companies presenting and the standard was very high. Congratulations to the winners on the night who will go forward to represent the college in the county final, ‘Green Leaf Organics’ who took 1st place, ‘QT Productions’ who were runners up and ‘Sticky Fingers’ who came 3rd. There were many other awards including best speaker, best report, best presentation, best marketing and sustainability. Many thanks to the judges Evelyn Mc Glynn, Joey O’ Leary, Paul Logue, Lucia Mc Cauley and Patricia Friel. 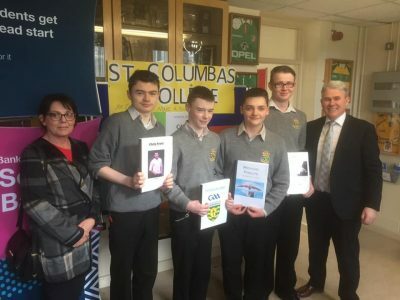 Well done to all the students involved and to their teacher Ms. Cooke for all her work with the companies. 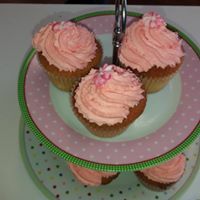 Don’t cut your lawn so often, it might look nice, but you need to think twice! Well done to all the students involved and to their teacher Mr. Mc Crea. 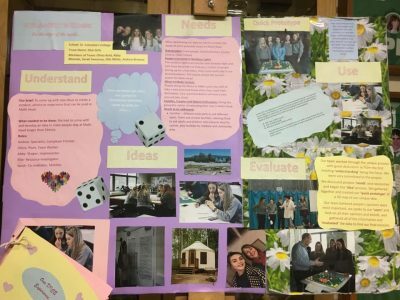 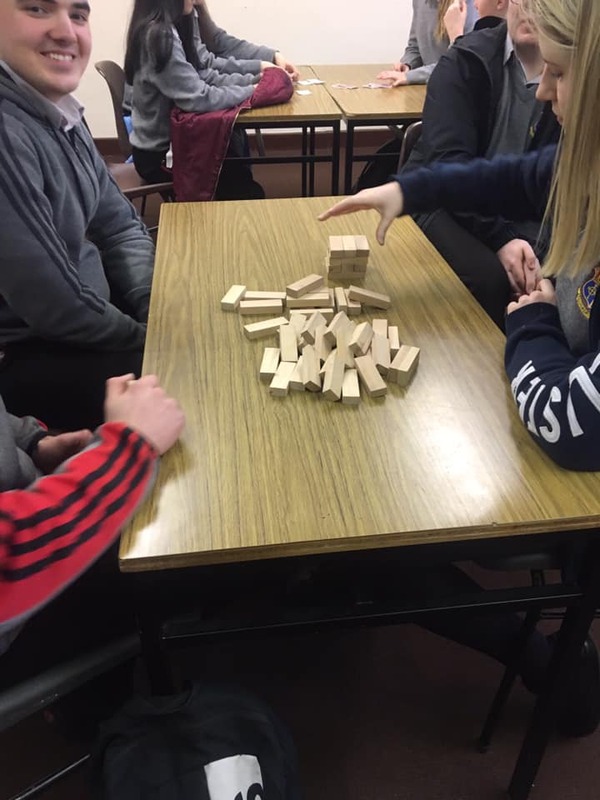 Twenty of our transition year students have been involved in the DICE (Design Innovation Creativity Enterprise) Programme, which was sponsored by Failte Ireland at LYIT over the last few months. 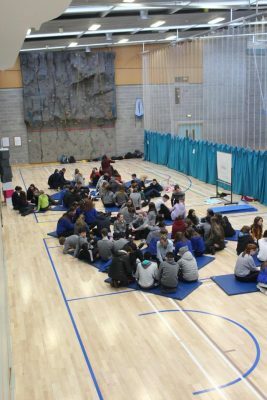 There were 100 students in total involved in the Programme from five different schools. The final took place recently during which students had to present the final project on their idea for encouraging tourists to spend time at Malin Head. 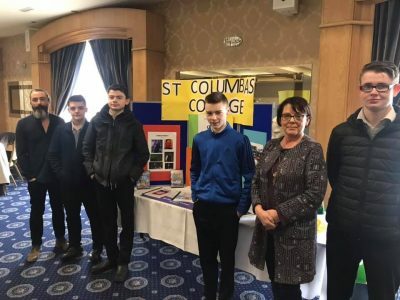 Two of the St. Columba’s teams were placed. 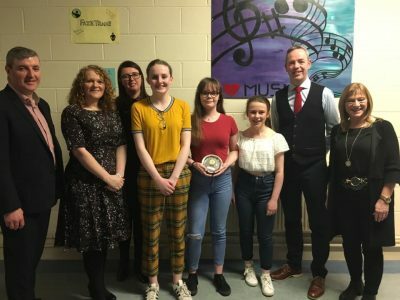 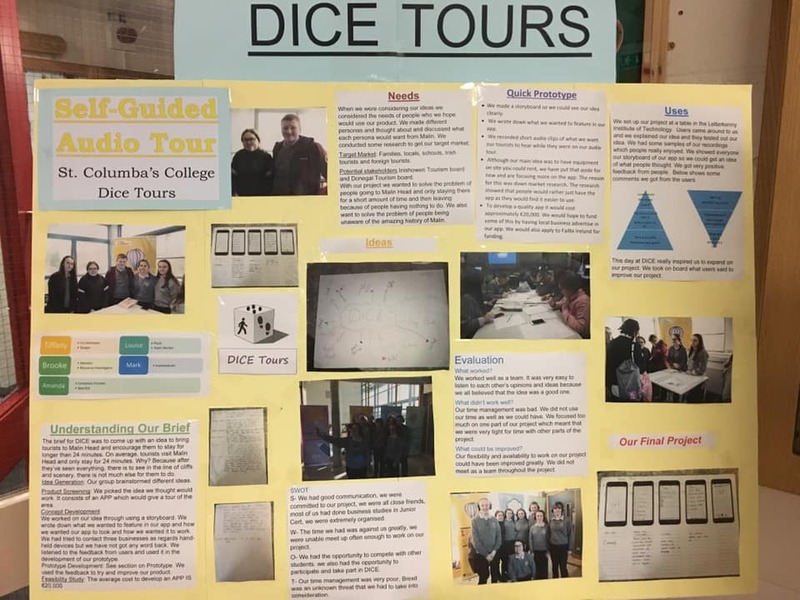 Taking 1st place was Olivia Reid, Sarah Sweeney, Abby Meenan, Andrea Browne and Ellie White with their project ‘Atlantic’s Edge’ and in 3rd place was Mark Mc Gee, Tiffany Marley, Amanda Bates, Louise Mc Laughlin and Brooke Ramshaw with their project ‘DICE Tours. Well done to all the students involved and to their teacher Ms. Cooke. 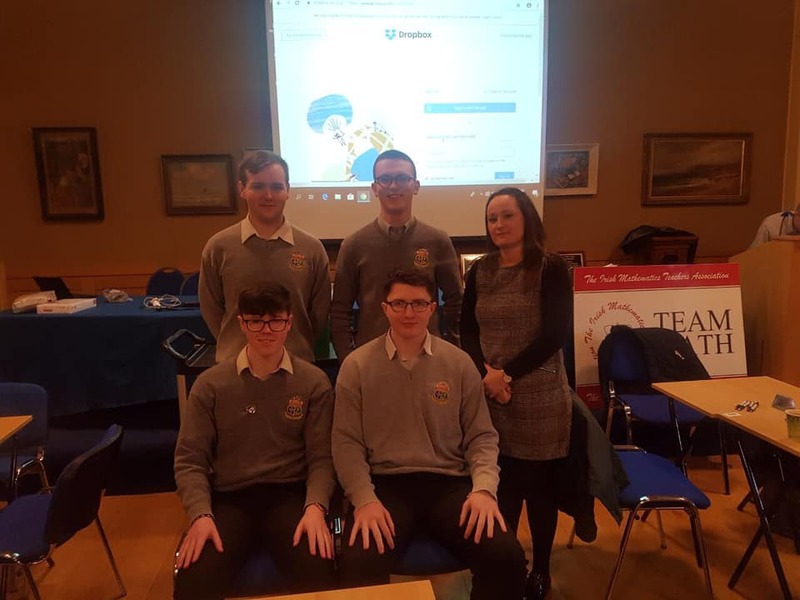 Our senior Maths quiz team of Oisin Mc Menamin, Jack Meenan, Shane Rowan and Ben Ó Currain finished in 7th place in the national finals of the IMTA maths quiz in Maynooth University. 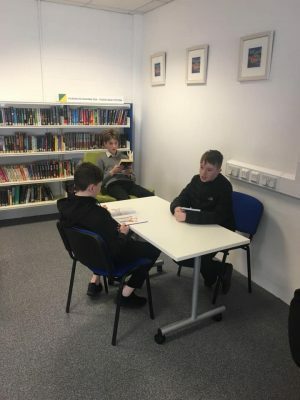 The boys did both themselves and the college proud. Many thanks to their teacher Ms. Harley for all her work with the team. 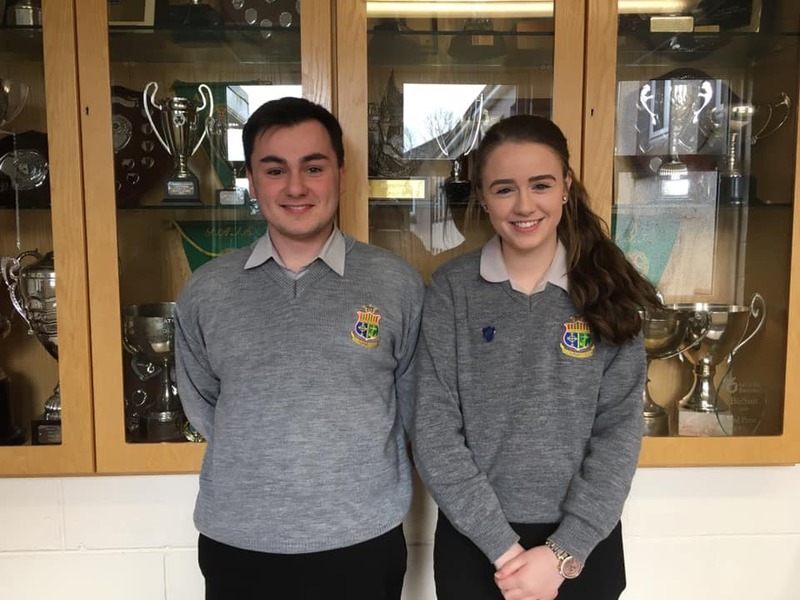 Congratulations to Michaela Mc Monagle and Shane Doherty who participated in the Chemistry Olympiad held in DCU. Well done to both students who did very well and to their teacher Ms. O’Malley. 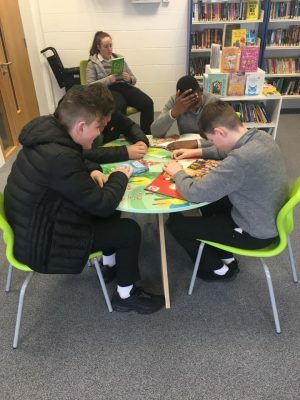 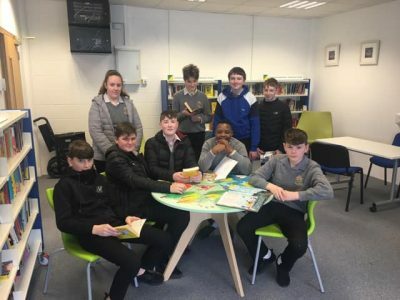 One of our 1st year English classes on a visit to the local library with their teacher Ms. Mc Gill as part of their Drop Everything and Read class. 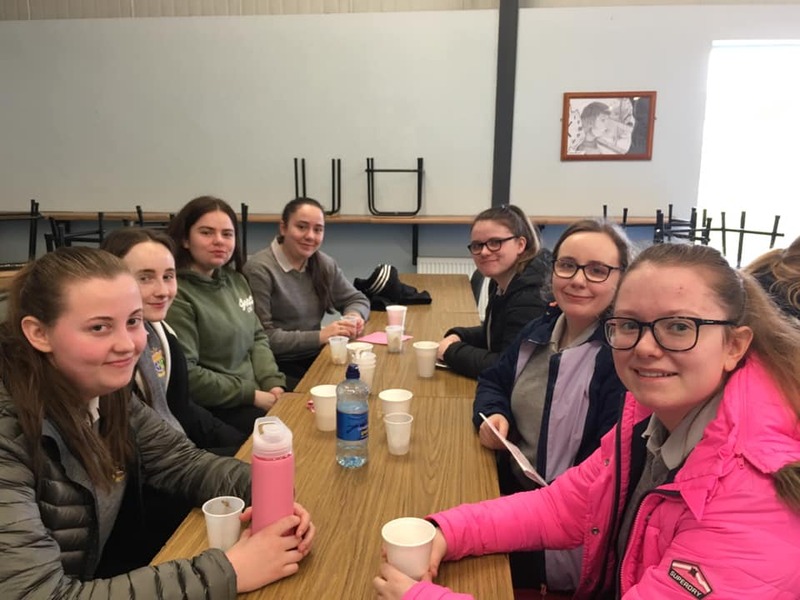 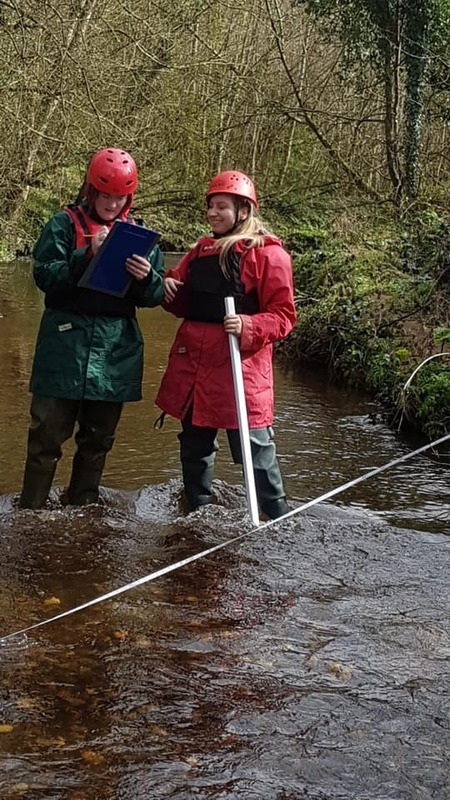 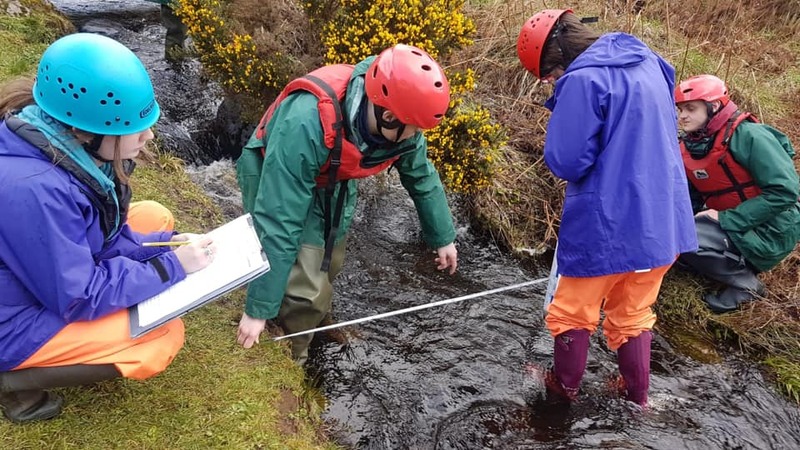 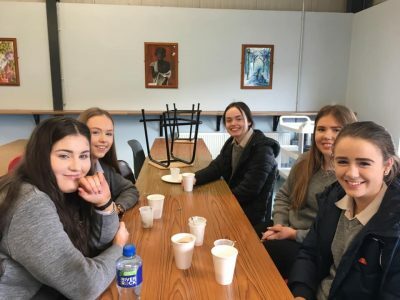 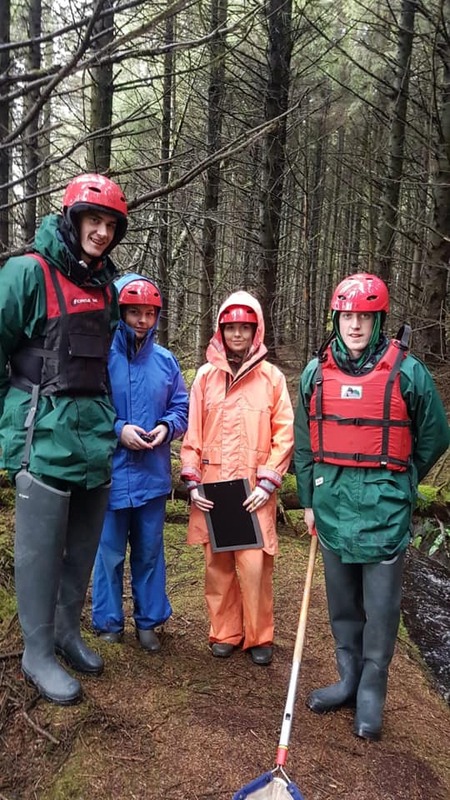 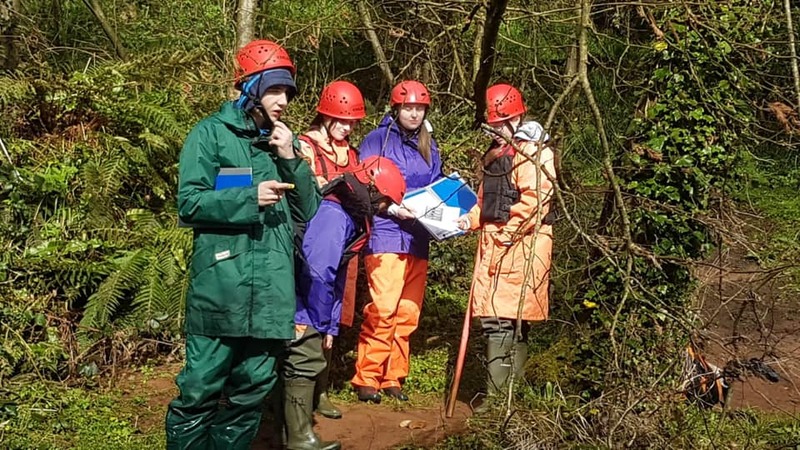 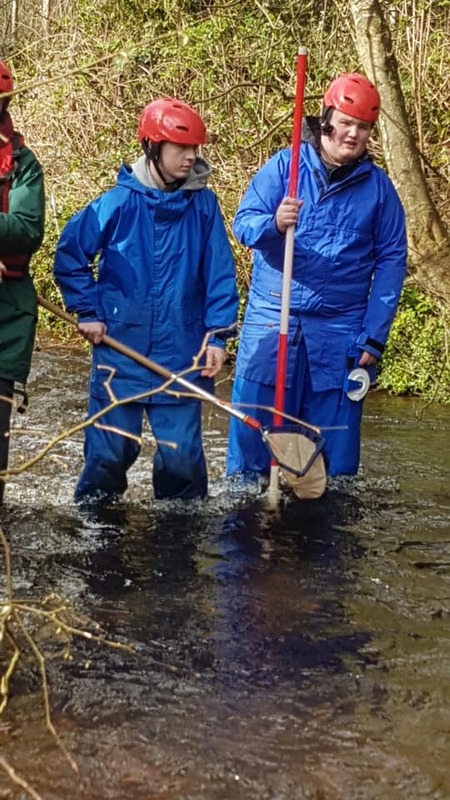 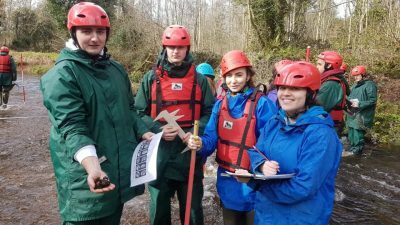 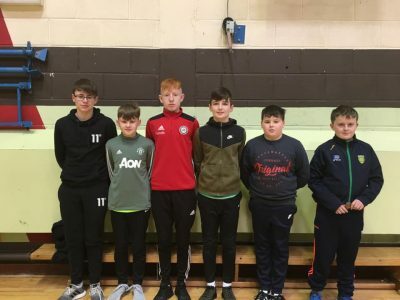 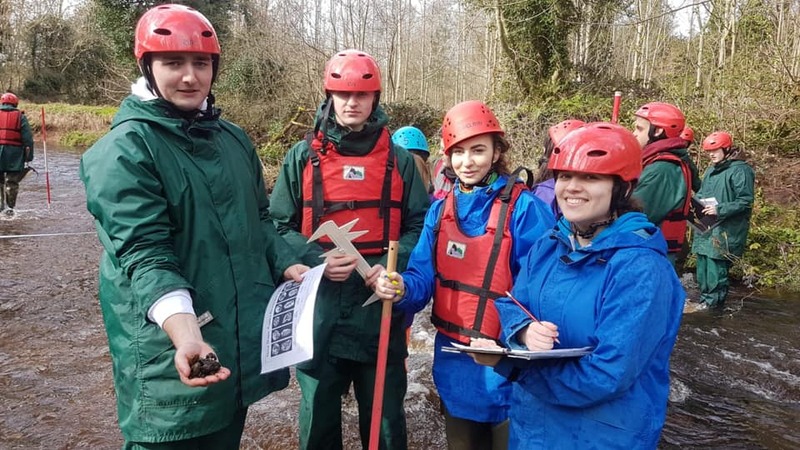 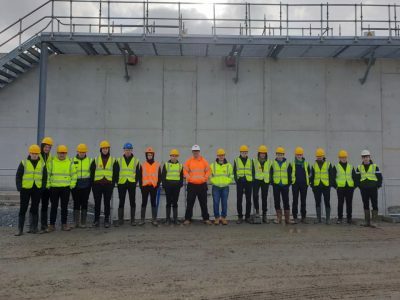 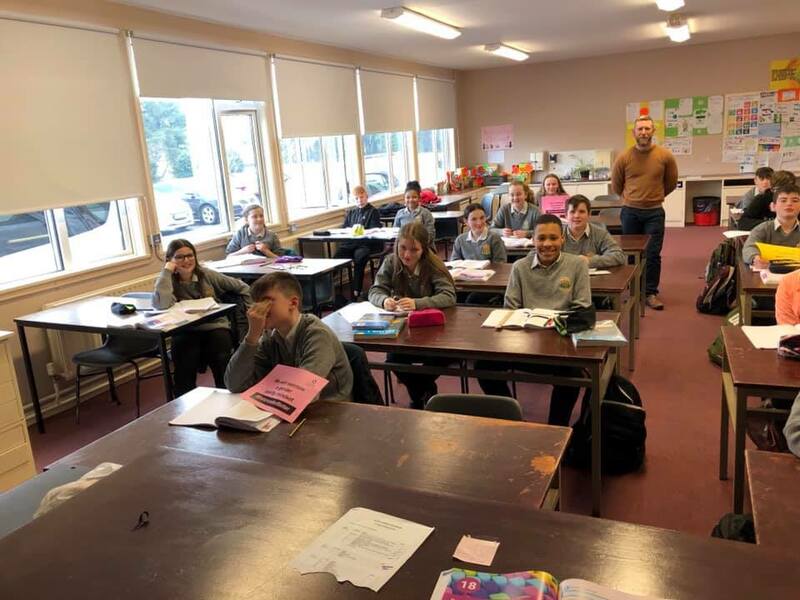 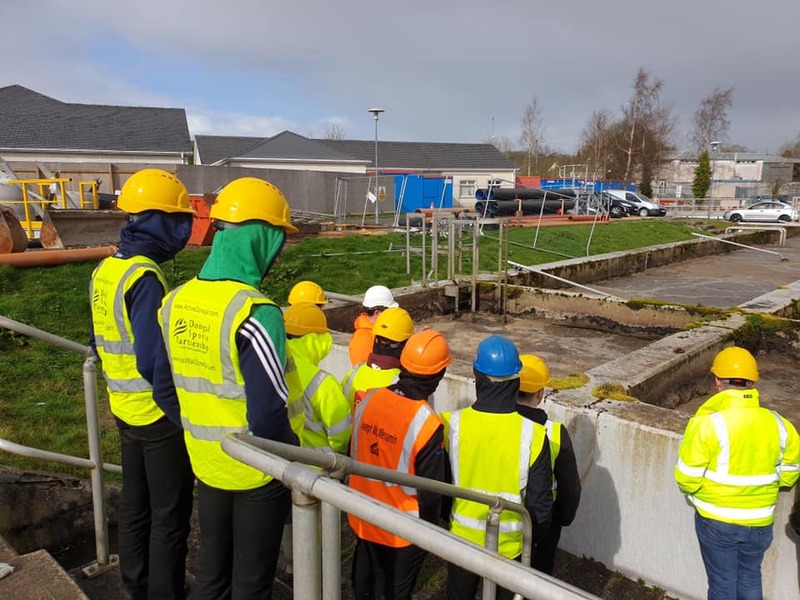 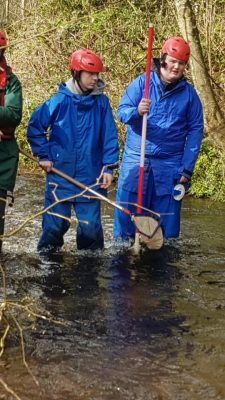 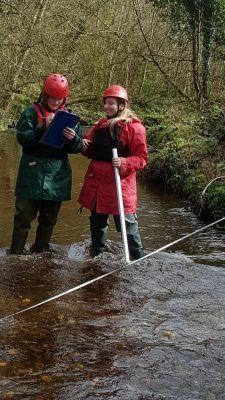 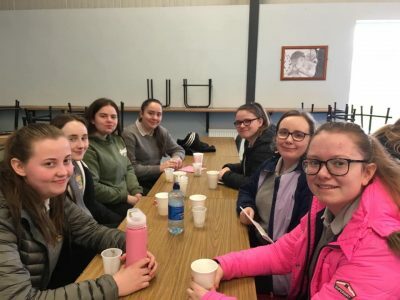 Ms. Cowan’s Leaving Certificate Geography students attended Magilligan FSC in Derry recently to study river processes for their geography project. 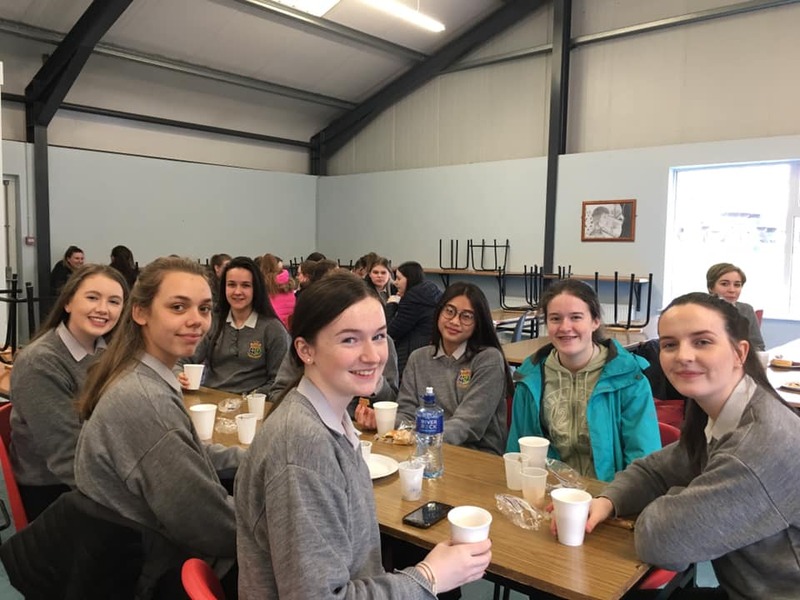 Thanks also to Ms Callaghan for her assistance during the two day trip. 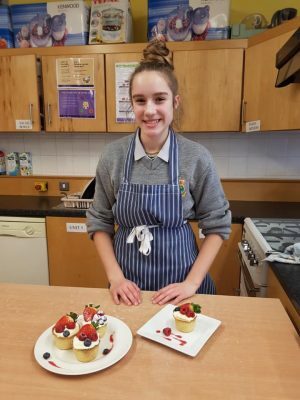 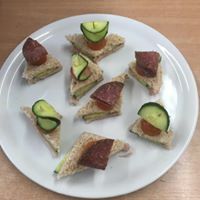 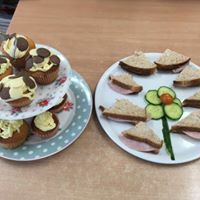 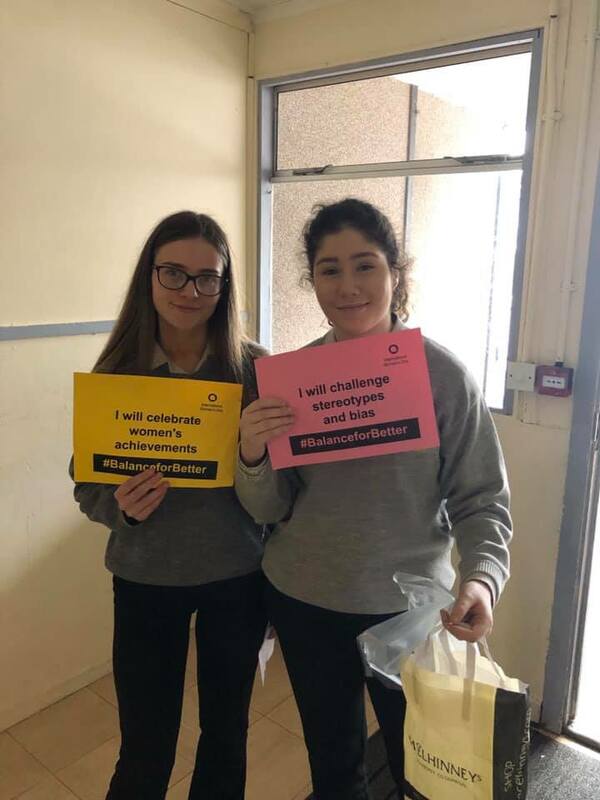 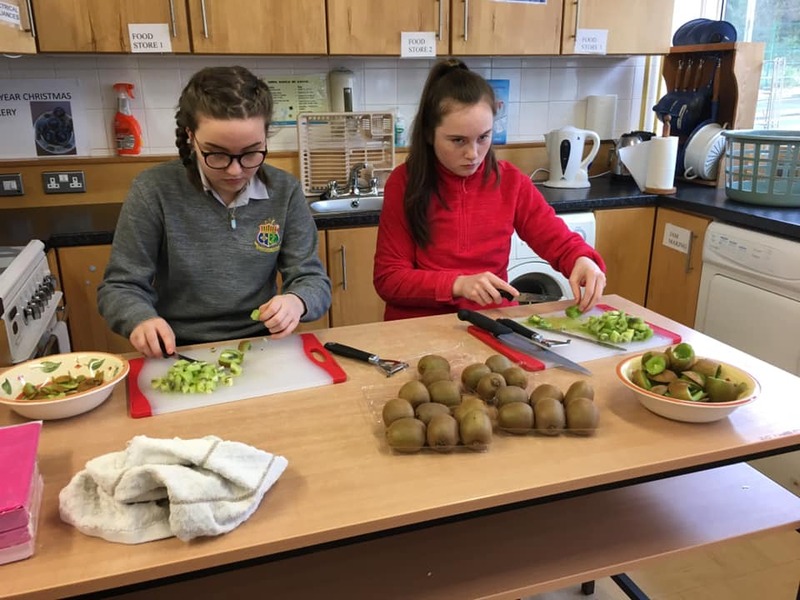 Our Global Citizenship Education committee went out and about into classrooms in preparation for International Women’s Day which was Friday 8th March. Students explained that the day represents a chance for us all to celebrate women’s achievements, raise awareness of bias and stereotyping and take positive actions for gender equality. 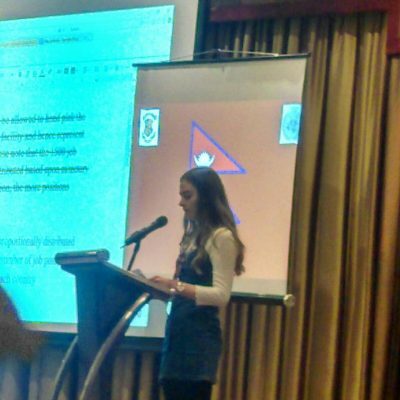 They also distributed hundreds of purple ribbons, the International symbol of solidarity with Women’s Day. 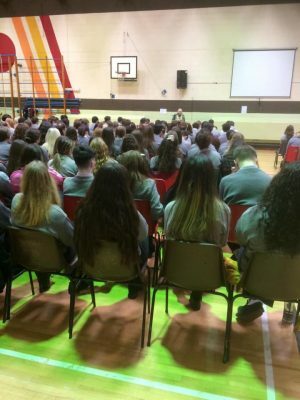 Well done to all those involved and to the coordinator of the project Mr. Mc Crea. The 15th March saw St. Columba’s students Strike out for Climate Change as part of a larger global campaign. 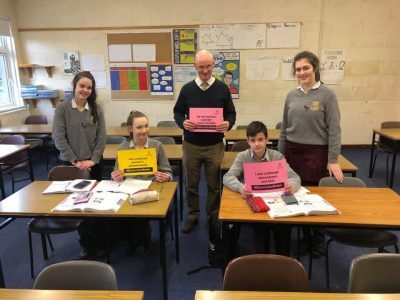 Inspired by Swedish student Greta Thunberg, students all over the world are calling on local and national parliaments to address urgently the issue of Climate Change and environmental damage. 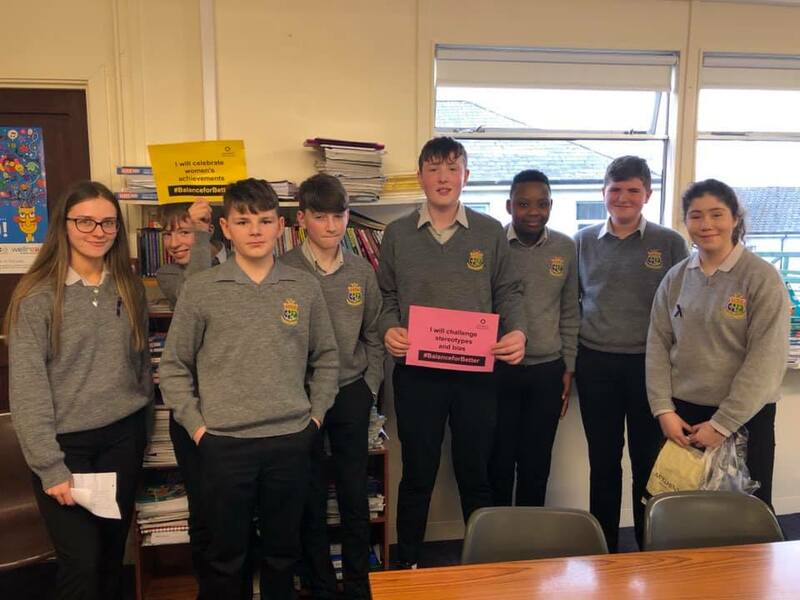 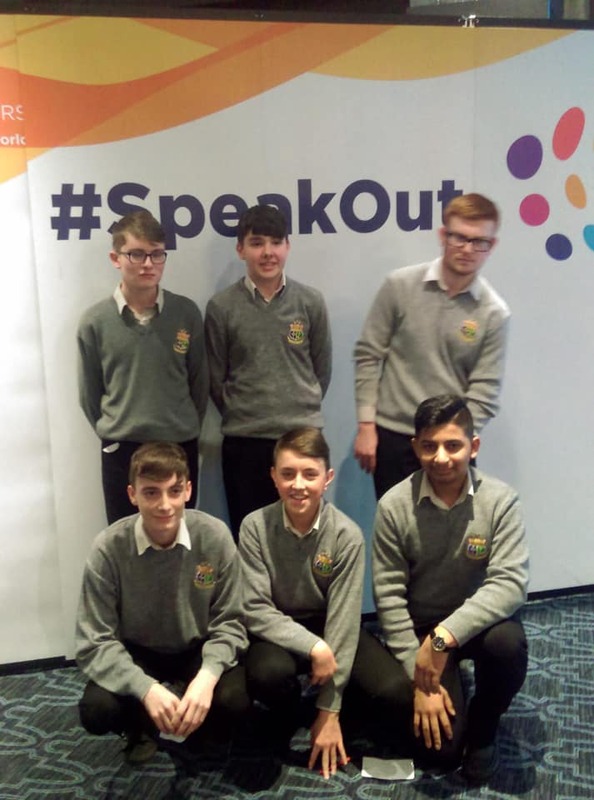 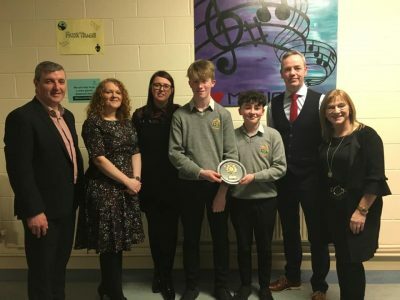 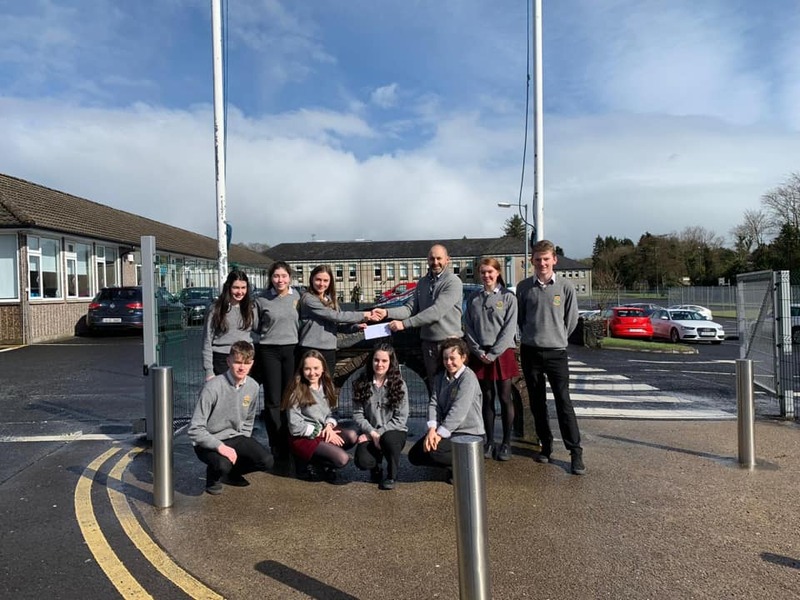 Our Student Council and Global Citizenship Education Committee presented Mr Seamus Maguire, staff teacher, recently co-opted to Donegal County Council, with a letter outlining the students concerns on this issue. 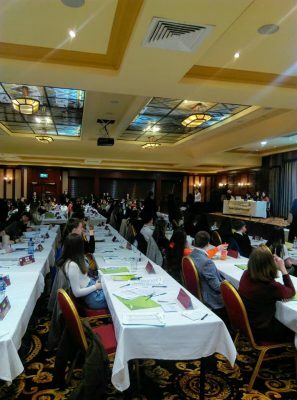 Mr Maguire will present same at the next Plenary meeting of County Councillors. 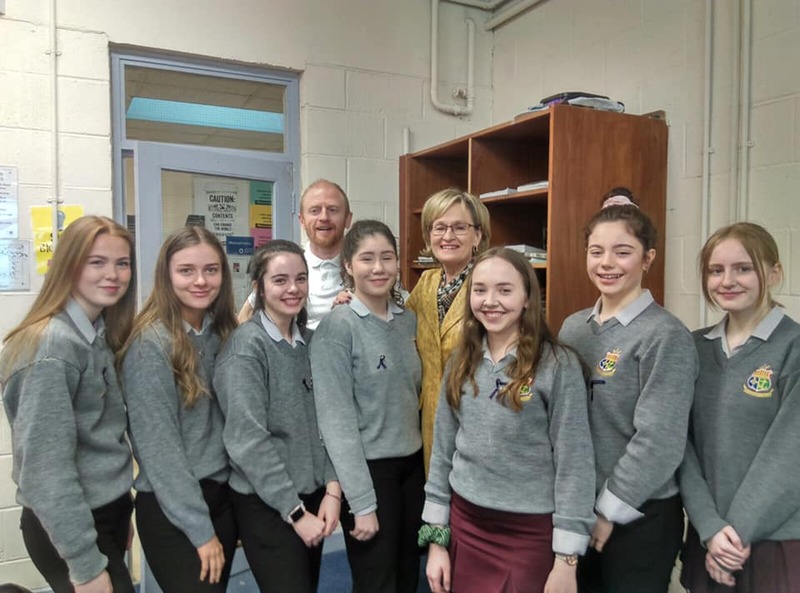 In an effort to reduce our consumption of single use plastics and to potentially safeguard the health of students, the Global Citizenship Education committee has been working hard and intends to make available a reusable, aluminium water bottle to all students, sporting the school crest. This initiative will potentially reap health, financial and environmental benefits for all. 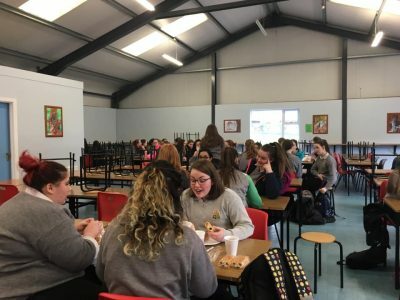 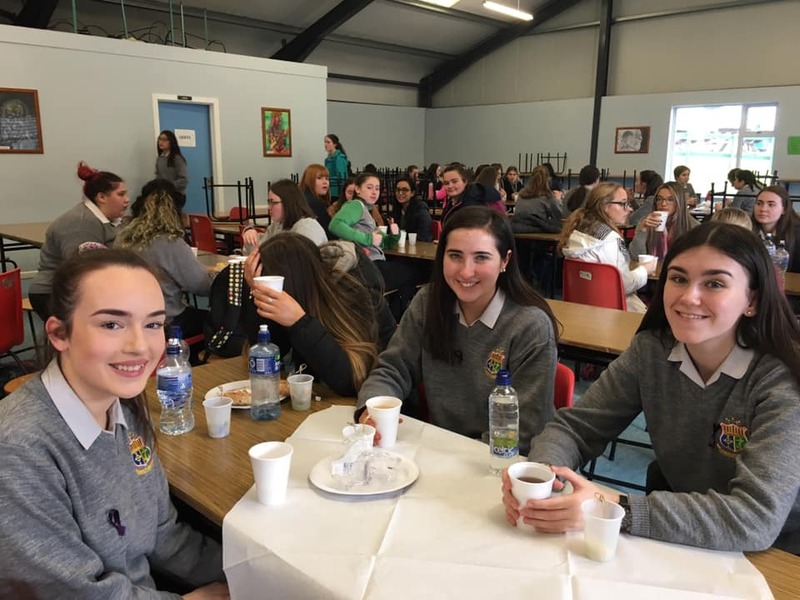 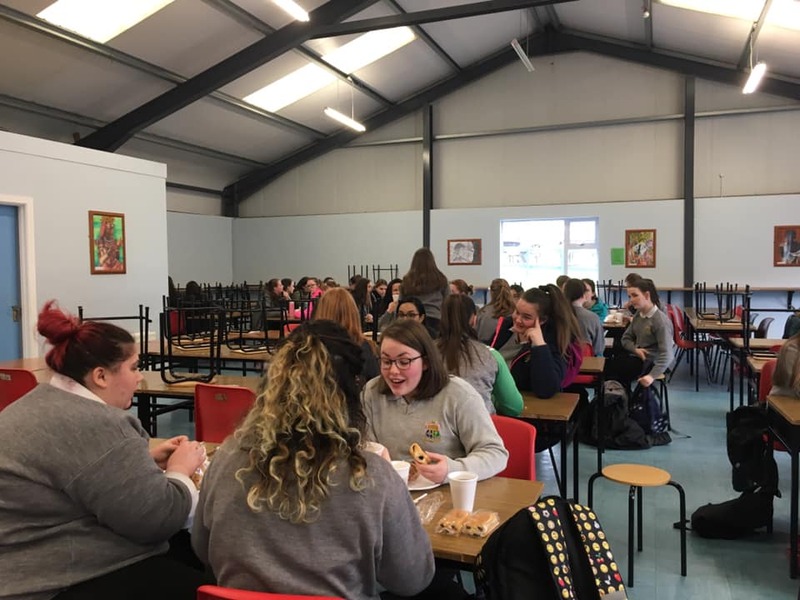 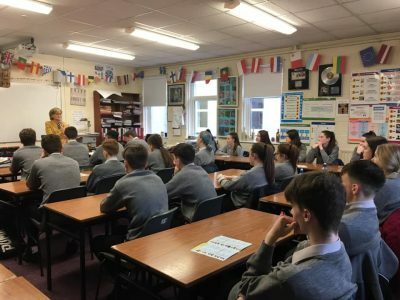 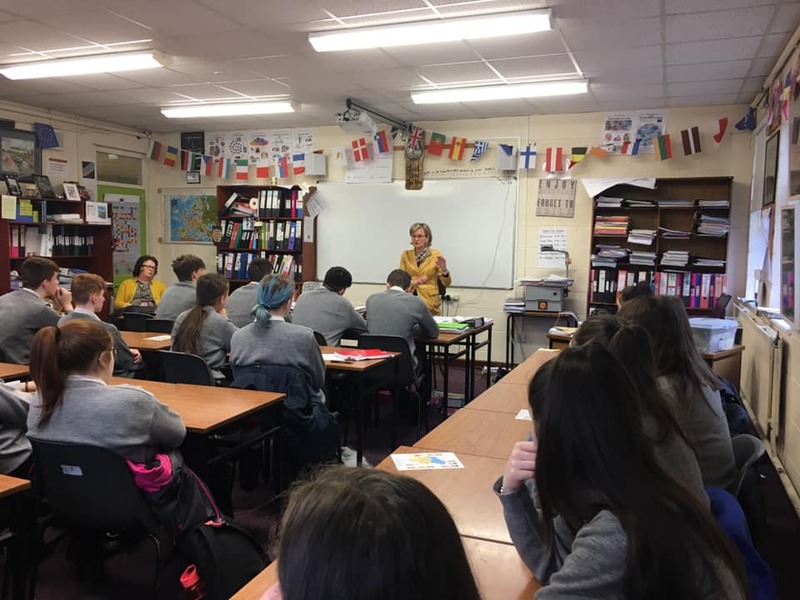 The College hosted a very special guest on International Women’s Day when Mairead Mc Guinness MEP visited the college and addressed all our senior girls, before dropping in with TYs and class Catherine to discuss European matters. 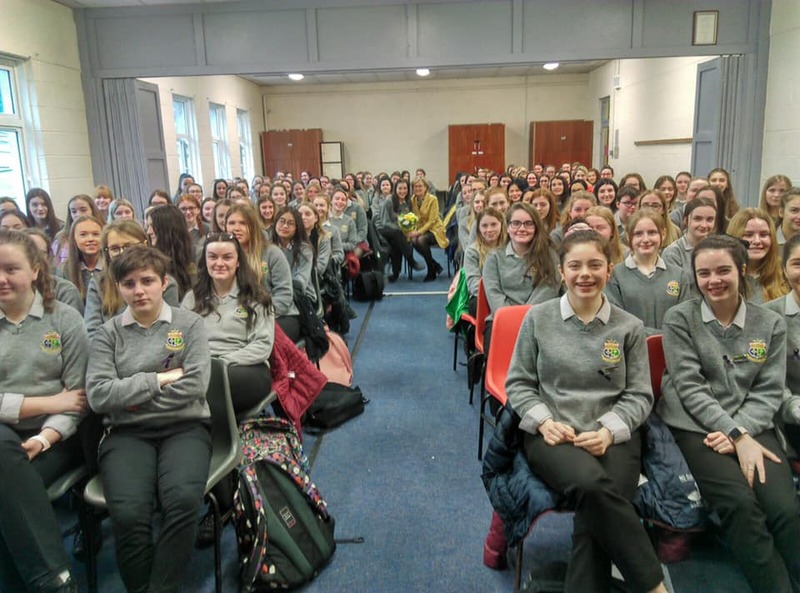 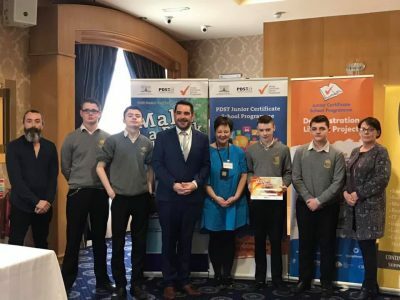 Marking International Women’s Day, the Vice President of the European Parliament spoke of her life journey, entry into politics and what gender equality means to her, before chipping in with some advice on tackling the Leaving Cert! 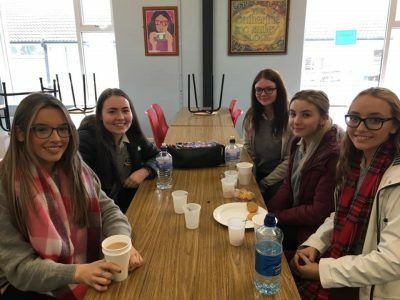 Students were left feeling inspired and confident and before she departed, head girl Katie McLean presented her with fair trade flowers. 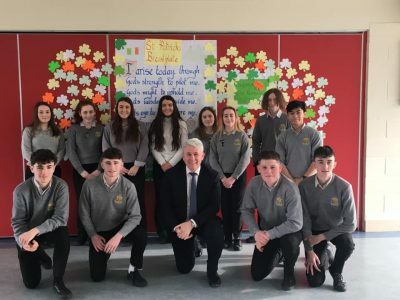 Thanks to Mr Mc Crea for organising the visit. 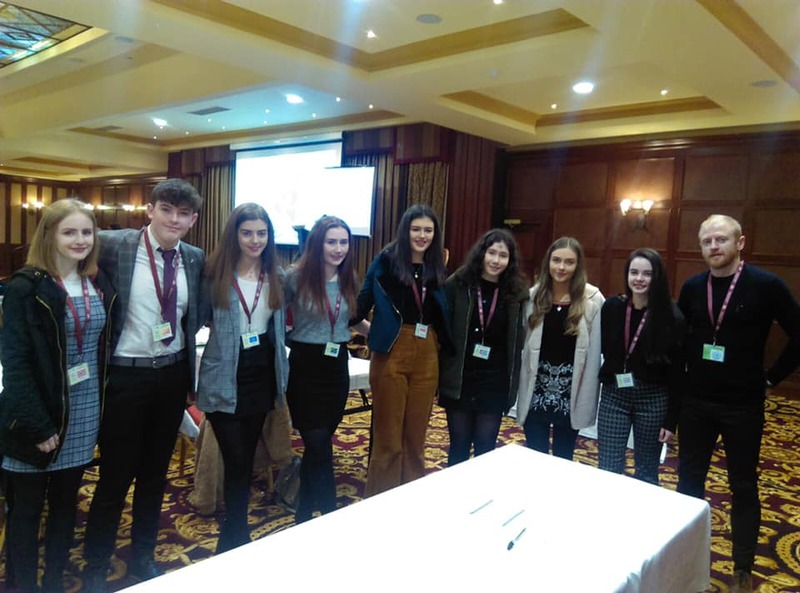 Eight students from the College attended the opening ceremony and proceedings of the Letterkenny Model United Nations conference in the Mount Errigal Hotel. Assigned as delegates to individual World Nations and NGOs, our attendees scrutinised and debated a resolution and subsequent amendments on Climate Change. 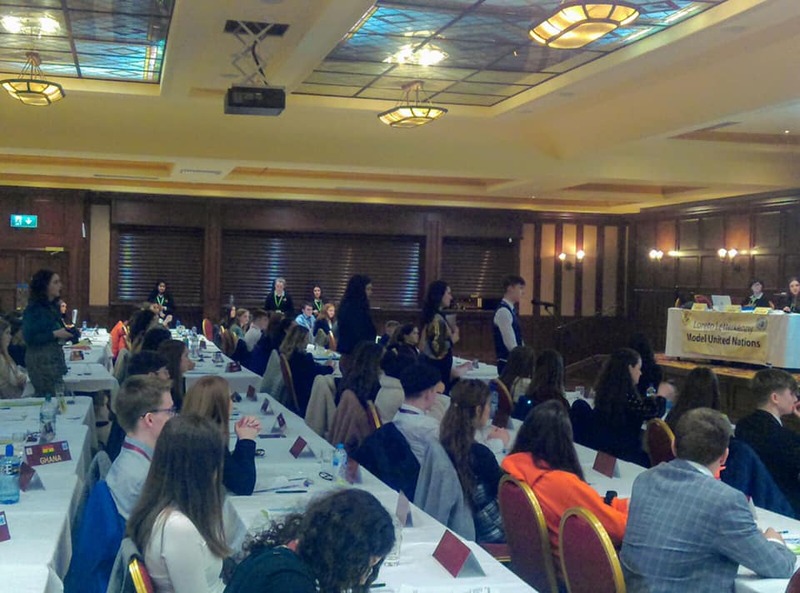 On day two of the conference, once again our delegates made very important and fitting contributions to resolution amendments and points of order. 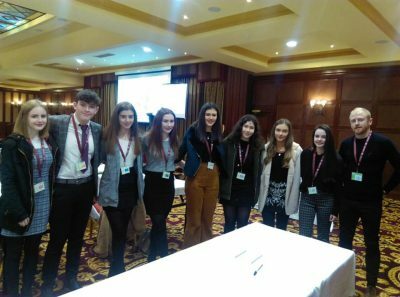 Up for discussion were the topics of Access to Education and the Militarisation of Space, both of which created a wealth of interest, craic and at times controversy, which our delegates were either in the thick of, or were instigating! Well done to all involved and to their teacher Mr. Mc Crea. 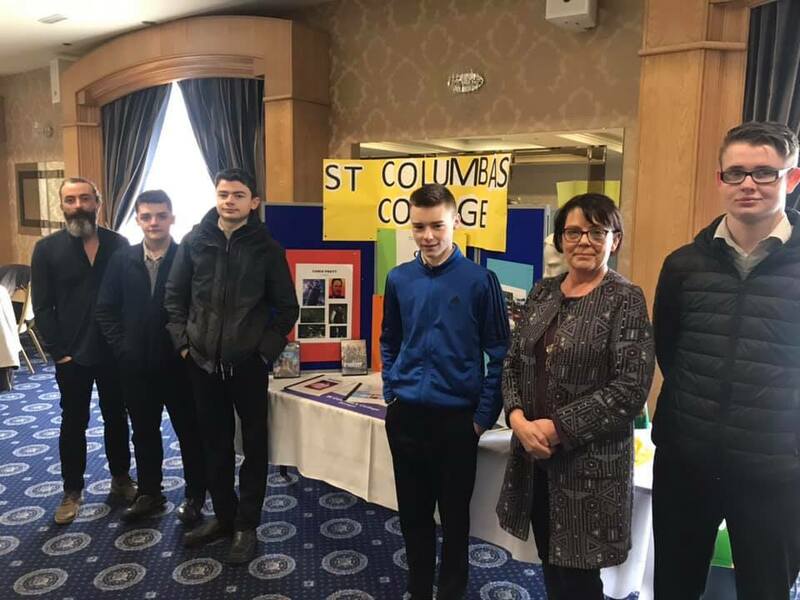 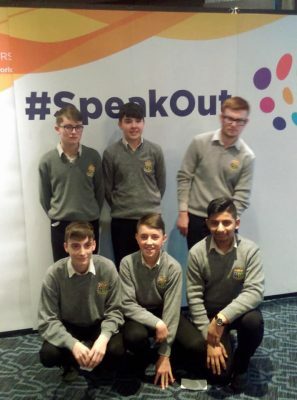 Well done to Anthony, John, Aaron and Daniel who presented their work at the ‘Make a Book’ showcase event in the Villa Rose Hotel. 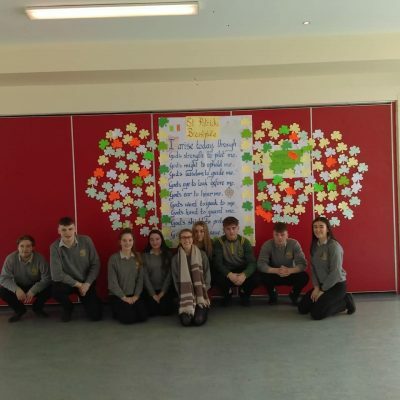 Well done to all involved and their teacher, Ms E. Rodgers. 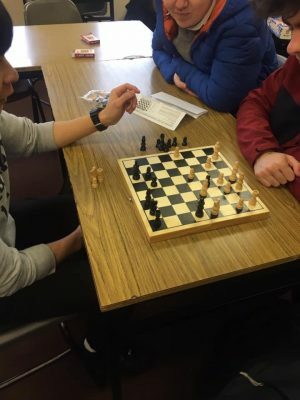 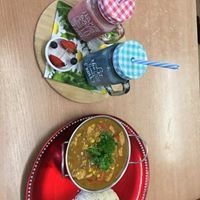 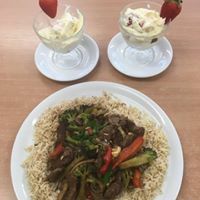 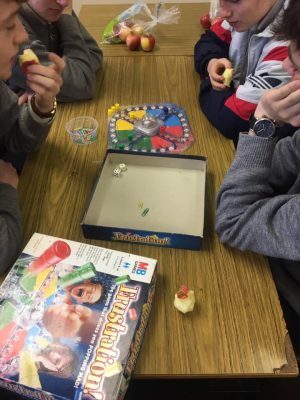 As part of their bronze Gaisce award, a group of students are running a games room in every Tuesday from 1.30 – 2.00 pm. 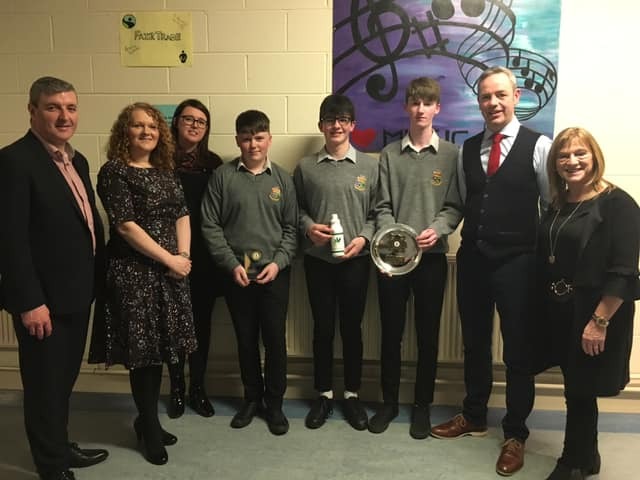 Well done to all involved and to their teacher Ms. Timony. 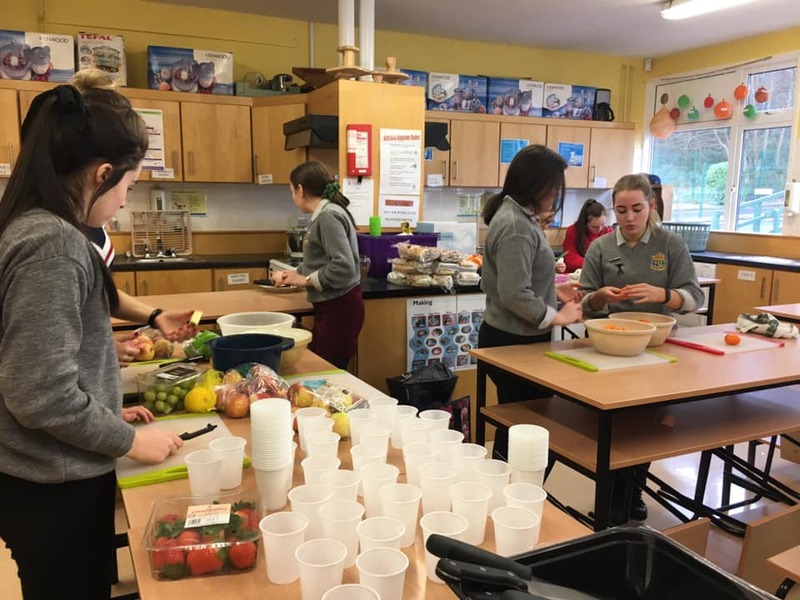 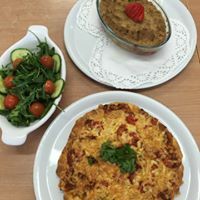 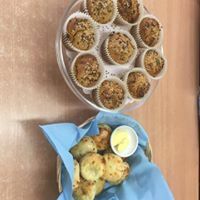 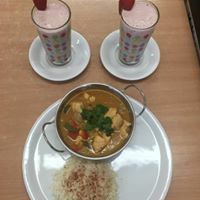 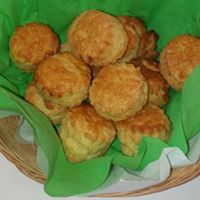 Some of the dishes created by Ms. Howard’s and Ms. Mc Mullin’s Home Economics classes during their mock practical. 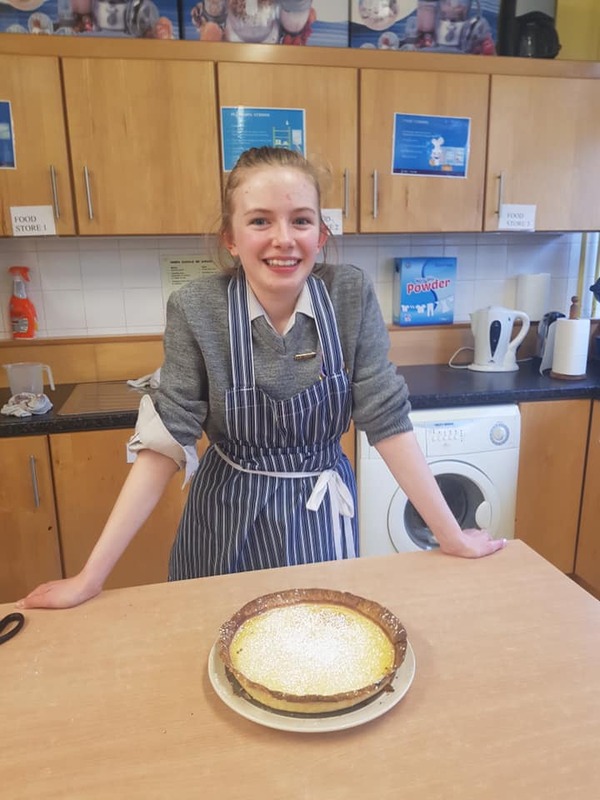 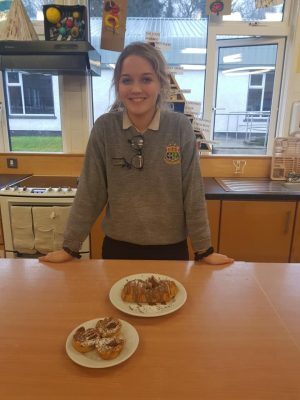 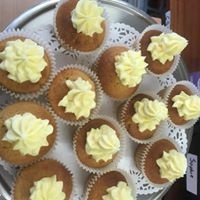 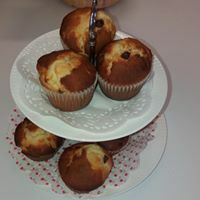 On 8th March the technical bake round of the bake-off took place – amazing results and great fun was had. 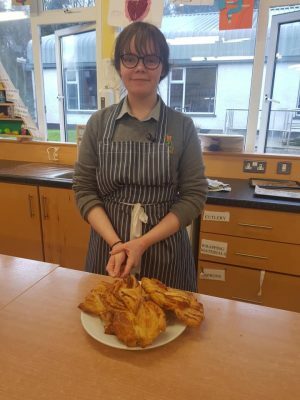 These ladies demonstrated pastry skills at an extremely high level. 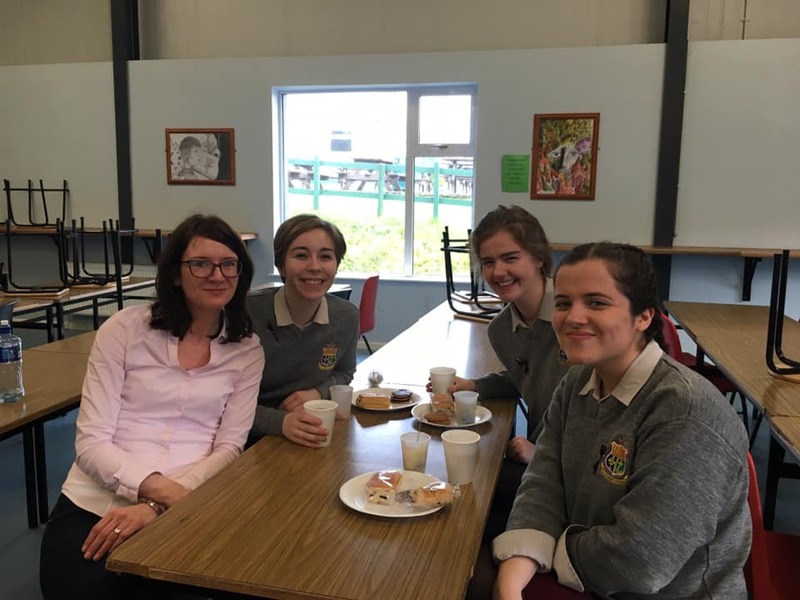 Thanks to Ms. Timony and to Ms. Stewart who is with us on teaching placement for all her help. Irish poet Eiléan Ní Chuilleanáin visited the college on Tuesday 19th March. 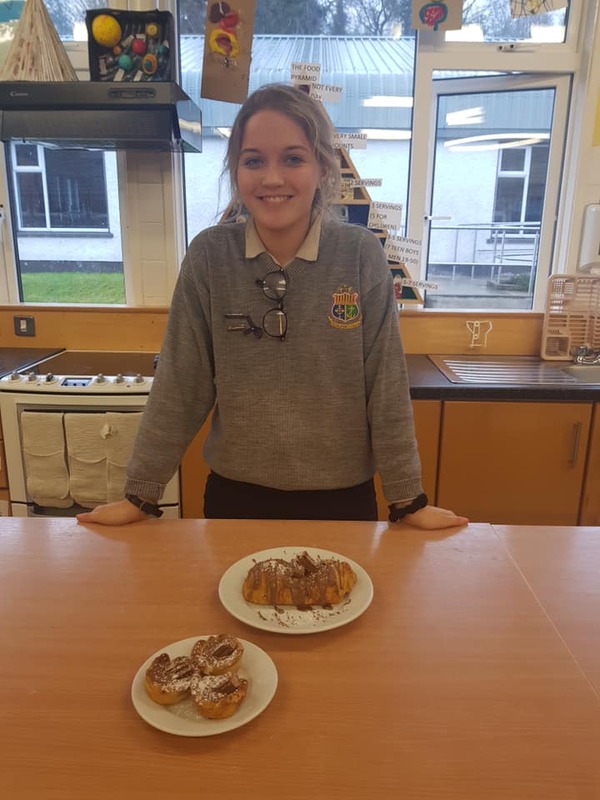 She is on the Leaving Certificate course so both our 5th and 6th years are studying her. She discussed the process involved in writing her poetry, where she finds inspiration for her poems and also offered our students the chance to ask her questions on her poetry. A truly wonderful experience meeting her in real life, which the students really enjoyed. Thanks to Ms. Neilson for organising the visit. 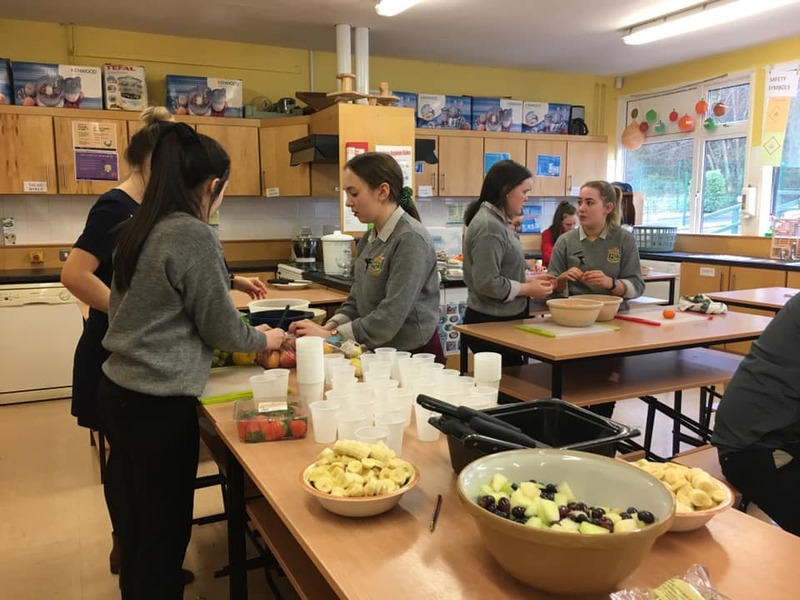 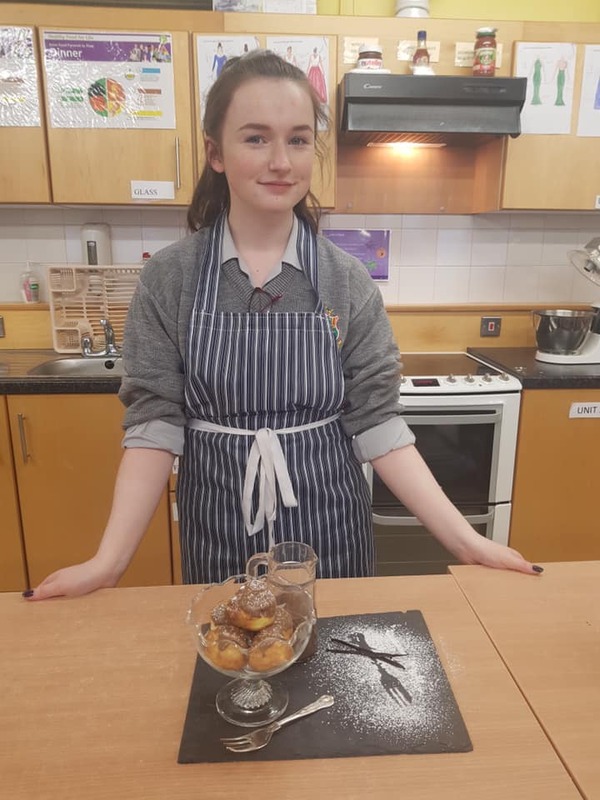 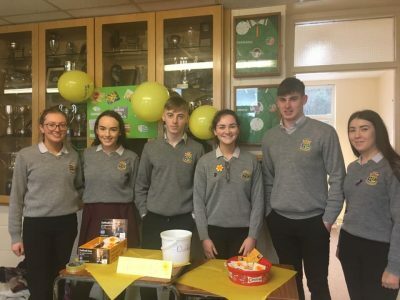 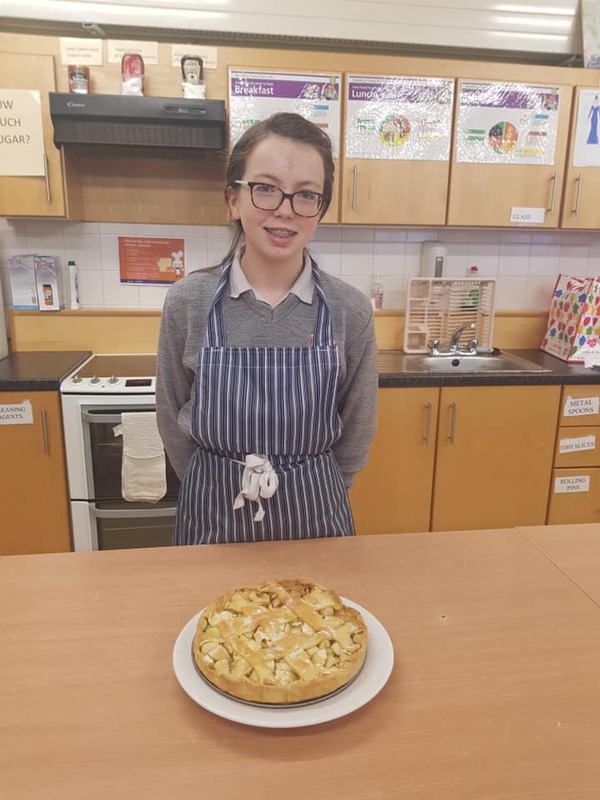 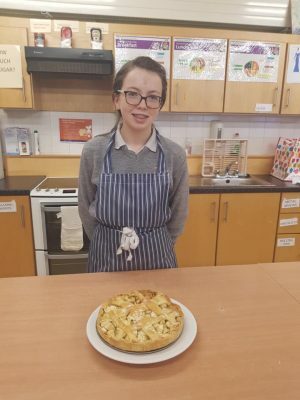 Well done to the students from class Andrew 6th year and their teacher Ms. Culkin who raised €330 for daffodil day in aid of the Irish Cancer Society. Thanks also to the many students and staff who gave their support for this very worthy cause. 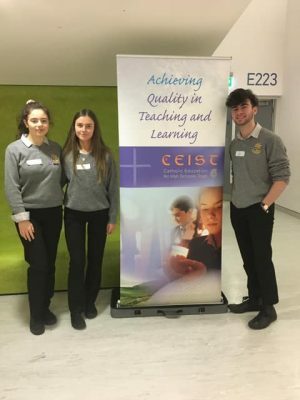 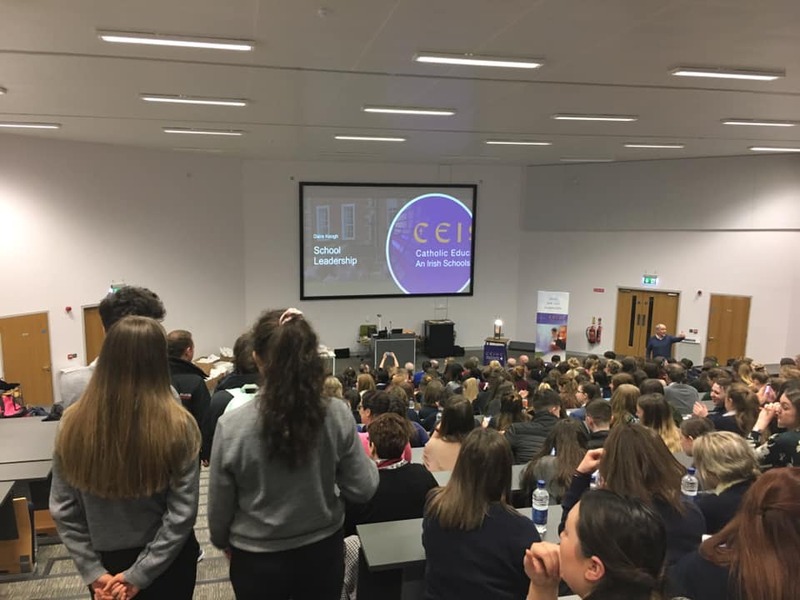 Three of our 5th year students Ciarán Coleman, Órnaith Ní Fhearghail and Caitlin Smeaton travelled to St. Patrick’s College, Drumcondra to attend the CEIST Youth Leadership Conference. 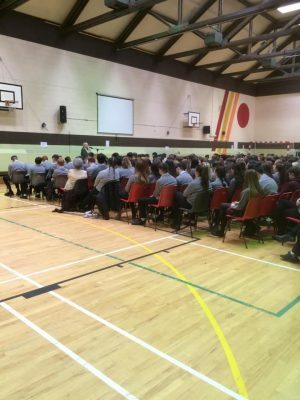 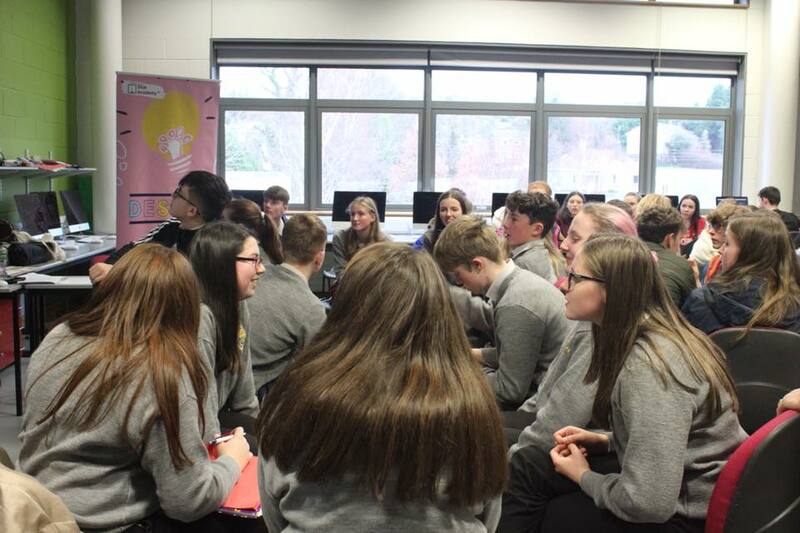 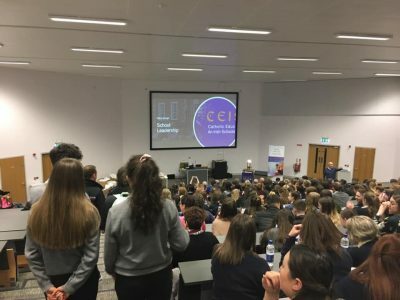 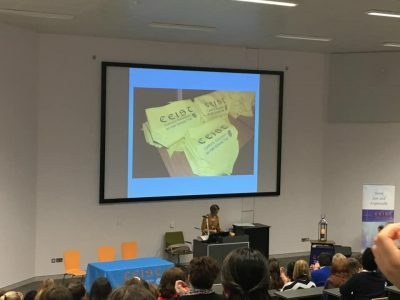 They attended workshops on both leadership and wellbeing, along with students from over one hundred other CEIST schools. 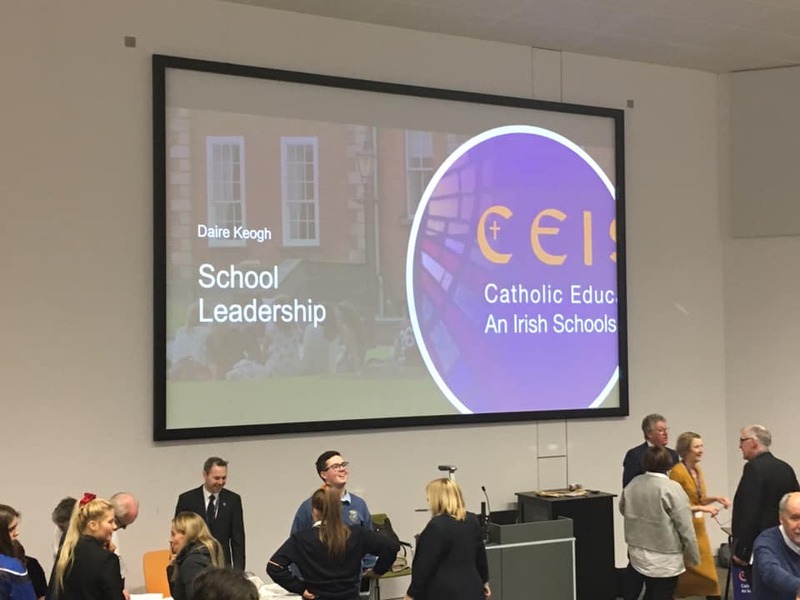 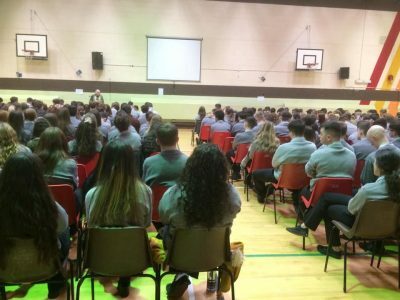 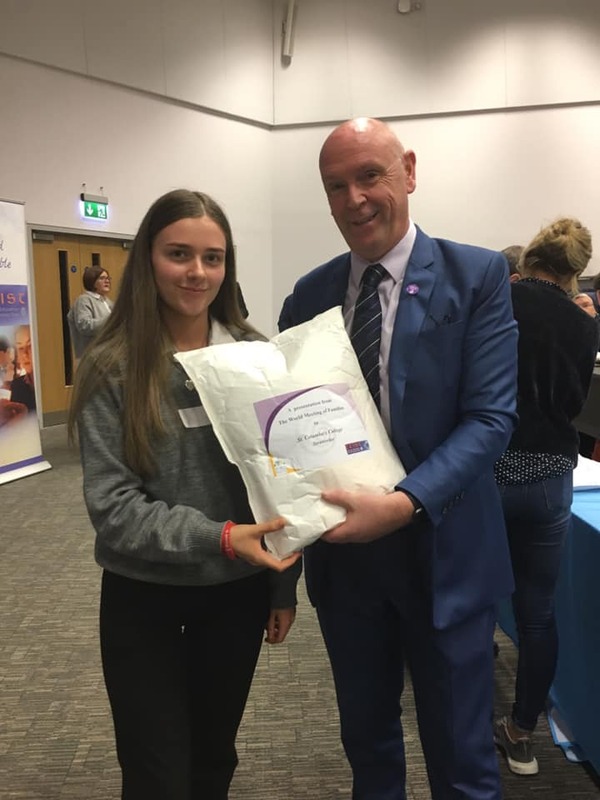 The students were addressed by Professor Daire Keogh, Deputy President of DCU who spoke to them about how they, as leaders shape the culture and values in their schools and about the importance of empathy and the ability to see others as individuals in good leadership. Minister for Higher Education Mary Mitchel O’Connor also addressed the students and paid tribute to Catholic schools, whom she believes deliver a special ethos. 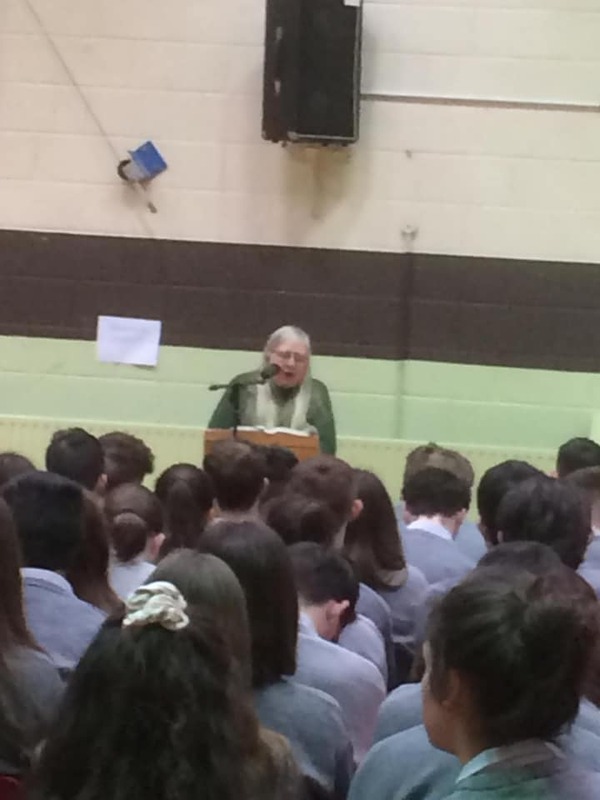 She spoke of the importance of equality and encouraged the students to reach for the stars. Before leaving, a representative from each school was presented with a gift from the Papal Mass. 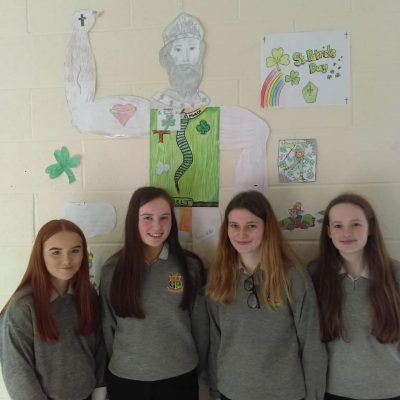 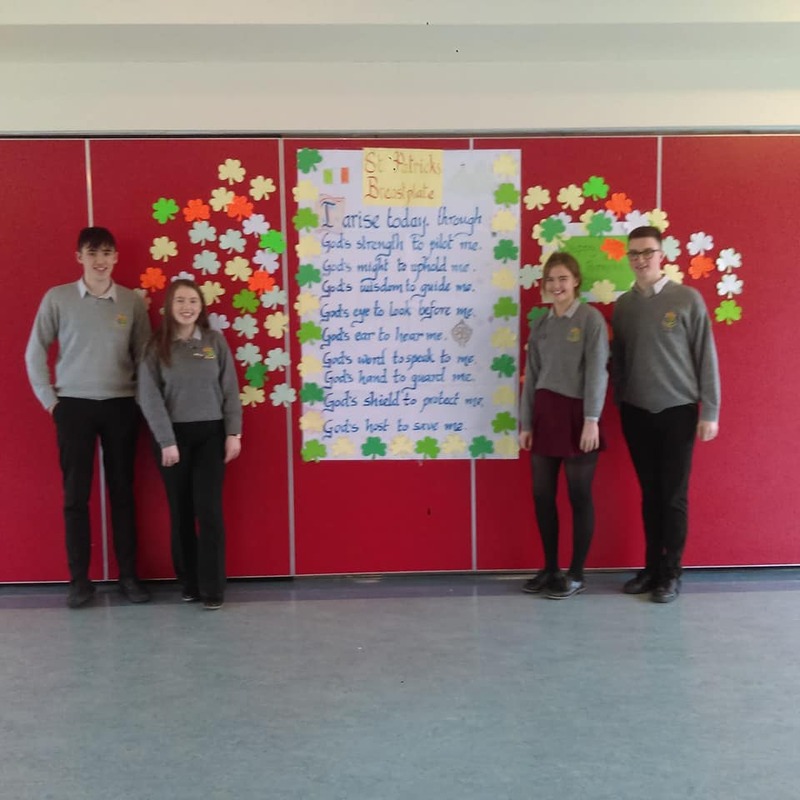 Well done and thanks to classes Aoife, Aisling, Cathal and Cara and their RE teachers Ms. Rodgers and Ms. Roache for the lovely displays to mark St. Patrick’s Day.